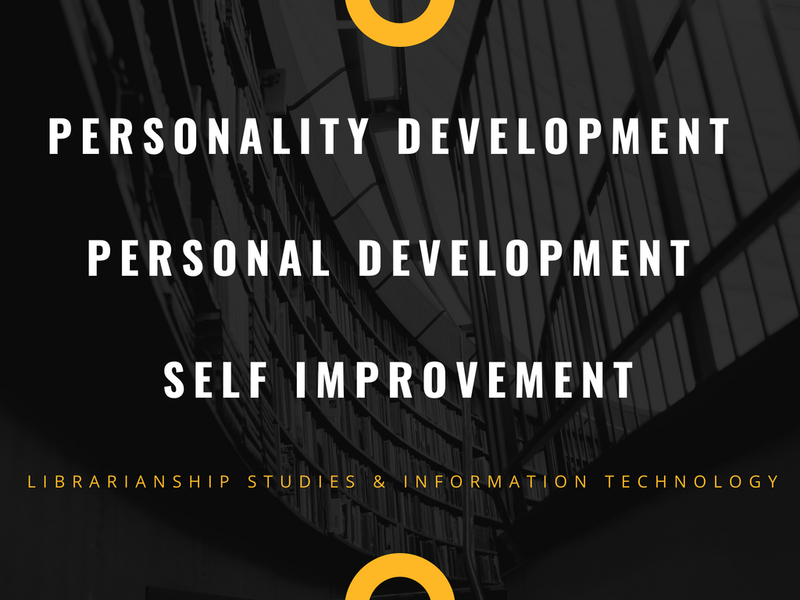 Personality Development, Personal Development, and Self Improvement of Librarians and library professionals are explained here. This section starts with a background and definition of a librarian, followed by a brief description of personality development, personal development, and why it is so important for librarians to possess an impressive and strong personality. 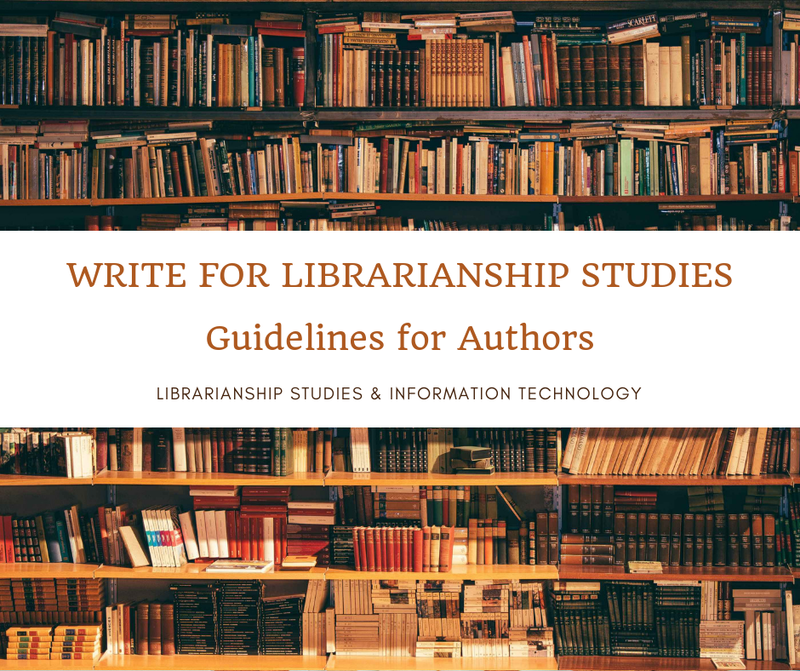 Contents of broad areas determined to work on for Librarians Personality Development is then provided which covers topics such as, education, willpower, habits control, health, lifestyle, technology and communication skills. My blog Librarianship Studies & Information Technology is a reflection of my quest for knowledge in Library and Information Science. The articles written on this blog started with my desire to learn about those topics. For this, I use to carry out extensive study and research on those subjects and write in an organized way so that I may refer to the presented information later on, whenever I need. I do this, as the capacity of the brain is limited to hold and remember information. In continuation of my quest for professional knowledge on library issues, I also thought to learn how I can better my personality. Hence, I have started this new section on my blog -- Personality Development - Personal Development - Self Improvement. Personality is the sum total of all physical, mental, and emotional attitudes, values, interests, and motivational factors. Personality is the core potential that determines one's success in life and career. Personality development is defined as the relatively enduring pattern of thoughts, feelings, and behaviors that distinguish individuals from one another. The dominant view in the field of personality psychology today holds that personality emerges early and continues to change in meaningful ways throughout the lifespan. Articles on general guidelines for personality and personal development. This section also includes articles not covered by other mentioned sections of Librarians Personality Development. If you are not going to speak up, how is the world supposed to know you exist? Every person, organization, and even society reaches a point at which they owe it to themselves to hit refresh--to reenergize, renew, reframe, and rethink their purpose. If only it were as easy as punching that little refresh button on your browser. Sure, in this age of continuous updates and always-on technologies, hitting refresh may sound quaint, but still when it's done right, when people and culture re-create and refresh, a renaissance can be the result. --Satya Nadella (Chief Executive Officer of Microsoft) in his book Hit Refresh. My Take: Every librarian and library reaches a point at which they owe it to themselves to hit refresh--to reenergize, renew, reframe, and rethink their purpose (librarians should work for the development of their knowledge of library science and libraries should be modernized to provide better services) ... ... ... when it's done right, when people and culture re-create and refresh, a renaissance can be the result (a renaissance where libraries and librarians have an important and respected place in the society and their contributions impact in the development of their nations). A leader must see the external opportunities and the internal capability and culture--and all of the connections among them--and respond to them before they become obvious parts of the conventional wisdom. My Take: A librarian, information and knowledge professional must see the external opportunities (for the development of librarianship) and the internal capability (knowledge of library science)--and all the connections among them--and respond to them before they become obvious parts of conventional wisdom (predict where the future of librarianship lies and work in the direction to make that a reality). I've often said that the best lines of computer code are like poetry. The writer struggles to compress so much thought and feeling into the fewest lines possible while still communicating the fullness of expression. My Take: If the library professionals want to prepare themselves for the future, then they should learn how to do computer coding. My Take: I wish to see better service oriented libraries and people understanding the importance of libraries. I am working in the direction to achieve this goal with the help of the Librarianship Studies & Information Technology blog. My Take: This quotation of Steve Jobs perfectly fit into my life and career. Though I am not an achiever as he was, still I am very satisfied where I am and what I do. Few people dream of becoming librarians when they are little, and I was one of the ones who did. I am a computer science graduate. After I completed my graduation I planned to get into the field of Library and Information Science. I was a member of the British Council Library in India and was fascinated by the quality and class of work the librarians do. But my father was totally opposed to this idea. He said: What are you going to do with your life, so you want to take out books from the shelves and put it back. He was concerned that librarians are not paid much and I will not be able to earn a lot of money in my life. But I was so adamant and he could not change my decision. I went on to become a librarian and cataloger and today I am fully satisfied with the decision I took. I know my time is limited so I don't waste it living someone else's life. As a person, I love, live, eat, drink, and sleep Library and Information Sciences. I have devoted my entire life to the field. I am working on the Librarianship Studies & Information Technology blog with a vision of creating a platform of knowledge which is like the Encyclopedia Britannica, The Huffington Post, the Khan Academy, and more closely like the Encyclopedia of Library and Information Sciences; an authoritative source for consultation and reference for any library or information profession related issue and a treasure hub of knowledge on Library and Information Science, which is open and free for all the library professionals worldwide. Life is a 100-meter dash. Time is the race. Timing is of the essence. And success belongs to those who can squeeze the life out of every moment, instant, microsecond. Blog articles on strengthening Willpower, Self Control, Habits Control, and Time Mangement. Get Excited to Wake up. Find reasons : Get an exciting reason to wake up. Start your day with something interesting to you. A reason for which you come out of bed. Get up for some exciting thing to do. e.g. reading metadata, keep book aside from the bed so that when you wake-up you can read that. Put TV remote aside your bed to watch the news. Or Laptop to watch motivational videos. See what your blog posts got shares. Create Rewards : Reward yourself to motivate you time to tome if you are waking up early. e.g. gift a book to you or jogging shoes. Create Urgency : Some most important work to do. Eg. write a blog post. Avoid Stimulants : Don't take tea etc. after an evening which affects in getting sleep e.g. caffeine. Start a Night Time Routine : e.g. Make a routine of activities before going to bed, e.g. yoga before going to bed, taking shower, listening to classical music, drinking hot milk. Lights Dim and Curtains Half Open. Put Alarm Clock at a Distance : from the bed so that you have to get up from the bed and go to the alarm. Do not snooze, it is not the habit of successful people. Silence : Silence is a great way to live a controlled day. First five minutes after morning should be silence. Silence can be practiced through prayer, meditation, breathing etc. Silence gives your day a calm and powerful start. Affirmation : Next success habit is about affirmations which help you to reprogram your mind. You can use power of sub-conscious mind by using positive affirmations. Change programming of your mind through affirmations, some lines which you say to yourself. I have the ability to achieve all my dreams. I have the ability to take care for the future of my family. I have the vision to take correct decisions. I have the ability to create a revolution in the field of library and information science. Visualization : As our powerful mind thinks in the form of images, so next morning habit is visualizing your success. This also adds to a great morning ritual. Visualize your affirmations when you speak to yourself. Exercise : You can keep your body and mind fit and active by following a daily fitness routine. Reading : As many of us have this question that how to stay motivated, this video on habits for success in hindi also emphasis on daily ritual of reading in the morning. If not reading, you can watch motivational videos in hindi on channels of Cool Mitra, TsMadaan, SeeKen etc. Scribing : The last of the six morning habits is writing your thoughts in a notepad or pen as you can notice that this is also habit of successful people. Help us improve this collection! Contact us with your feedback. Suggest the videos and biographies we can add to this list. You can use the comments section below, or reach us on social media.